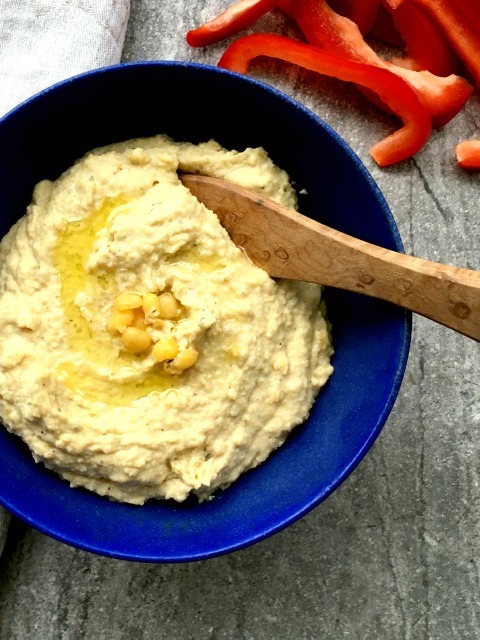 Yellow split pea dip has a lively flavour and makes a great substitute for hummus. I have always been a fan of hummus and enjoy it as a dip and sandwich spread. But, my husband can't eat tahini and my kids dislike hummus so I'm always left eating a batch on my own. Years ago (2006) I pulled the original version of this yellow split pea dip recipe out of a Food & Wine magazine and tucked it in a recipe folder. There it remained for a decade. The recipe resurfaced conveniently last year around the time my husband switched to a low-oxalate diet. I buy yellow split peas in five-pound bags so am always in search of ways to use them up. Sometimes they can seem a little pasty or gritty but this dip has a lovely texture and gets more silky if you use the full amount of olive oil. The recipe makes a huge batch so feel free to cut it in half. 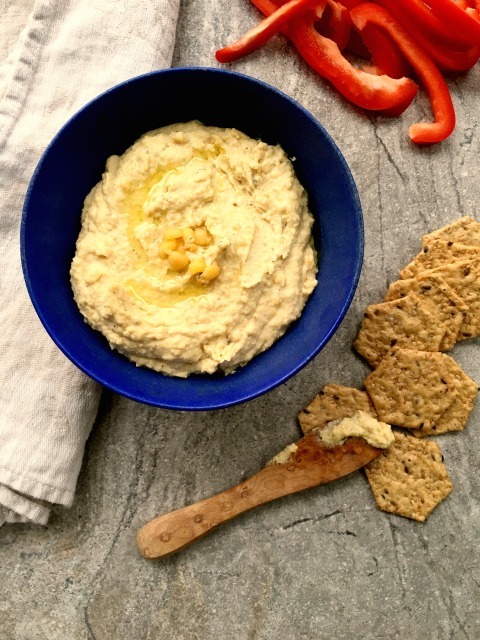 Yellow split pea dip has a lovely flavour and works as a sandwich spread too. The vinegar keeps the taste bright and cooking an onion with the split peas ads some depth and body to the flavour. If you enjoy hummus this dip will become a favourite too. Stir leftovers into effortless Cauliflower Soup. Combine split peas with 4 cups water, the small onion and bay leaf. Bring to a simmer and cook until tender (not mushy). Drain & discard bay leaf. Toss into a food processor with remaining ingredients and whir until smooth. Variation: Drizzle with lemon-infused olive oil and sprinkle with za'atar.